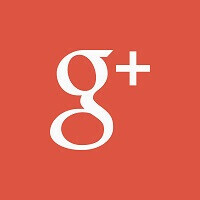 Google’s social network may not have a bunch of silly games or a “poke” feature, but Google+ does have some distinctly great aspects to it. Hangouts is one of those features, as is its “auto awesome” and "auto enhance" tools for photos. Throw in the smooth flow and simple action of “plussing” (like a thumbs up) people posts and comments, and Google+ is a pretty neat social network, despite whatever misgivings there may be over it. Now, in addition to the “auto enhance” feature available for pictures, Google has added the same capability for videos that are backed up to Google services. The best part is that with Auto Enhance turned on, Google+ will give you a chance to see the original and the enhanced version side-by-side so you can select which one you want to share. Just like with photos, Google will make recommendations about videos to enhance, but you can also select the ones you want to enhance as well. In the Google+ Photos app on Android, simply open the video, then select Auto Enhance from the menu. The enhancements may be able to provide a positive change to lighting, color and stability. Soon, enhancements will be able to clear-up speech captured on the video as well. The low-res video below is a brief example, the right side is the “enhanced” version.